SAN FRANCISCO – The non-stop storms we endured at the beginning of the year meant that indoor activities weren’t just desirable, they were mandatory. But precipitation isn’t required to enjoy San Francisco’s Museum of Modern Art, better known as SFMOMA. Art lovers will find a trip here to be worthwhile, rain or shine. 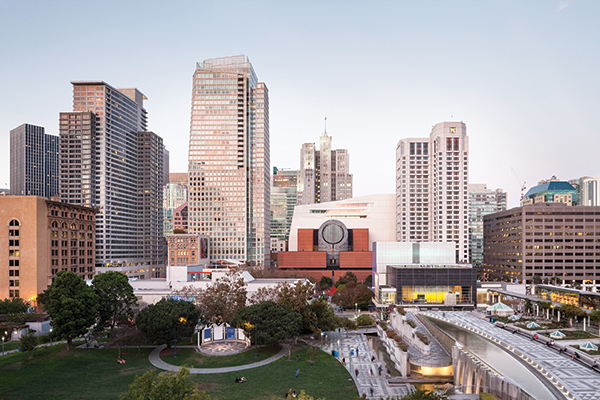 SFMOMA is seven stories tall, making it one of the largest museums of modern and contemporary art in the United States. Some exhibits are permanent collections while others are rotating. Each gallery offers something new and often unexpected. One exhibit consisted of a message written in dust (yes, you read that correctly) viewed from an elevated platform. If more classic and traditional art is what you seek, visit the masterpieces of Henri Matisse or Frida Kahlo. Pop art aficionados will appreciate the works of Andy Warhol. I recommend those who suffer from arachnophobia steer clear of the Louise Bourgeois Spiders display. Bourgeois didn’t create these larger-than-life sculptures, which are both magnificent and creepy, until she was in her 80s. It may be of interest that the artist meant the darkly compelling spiders to represent herself and her mother. (And you thought you had Mommy issues!) To learn more about the stories behind the art, download the Museum’s free app at SFMOMA.org/app. The Living Wall on the third floor is a must-see architectural element of the Museum. In this outdoor space, you’ll find 19,000 plants growing on the 30-foot surface. Be sure to cross the Occulus Bridge, which features a unique design that allows natural light to be funneled from the sky-dome into the lobby and mezzanine. 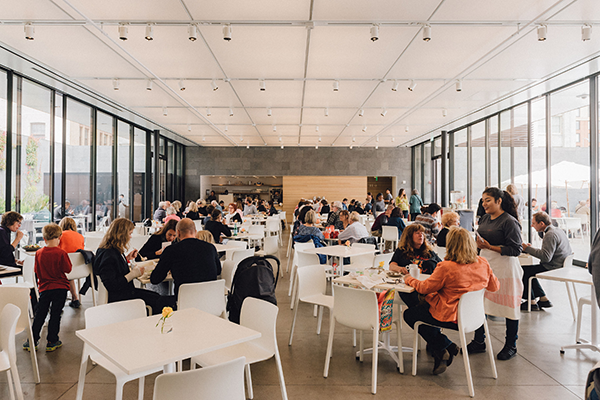 SFMOMA offers three dining options. Its fine dining restaurant, In Situ, is Michelin-star rated and offers a wide variety of food. Sightglass is a coffee and pastry kiosk on the first floor. The aptly named Cafe 5 is on the fifth floor and offers California fare in a family-friendly atmosphere. No visit to SFMOMA would be complete without a visit to the Museum Shop. Here you can purchase exhibition catalogs, reproductions of your favorite SFMOMA artworks, or one-of-a-kind gifts. You do not need a ticket to enter the Museum Shop. 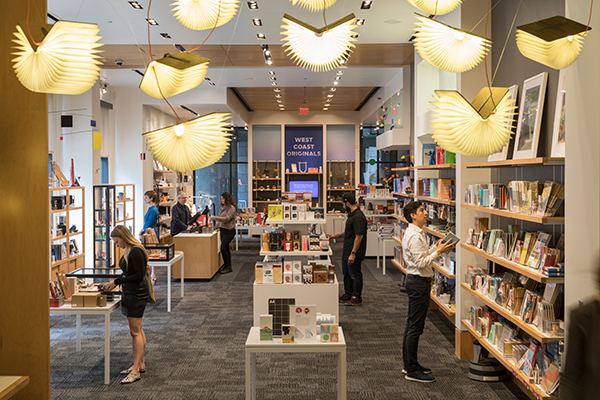 Tip: Save a trip to the Shop until the end of your visit, as it stays open later than the Museum. 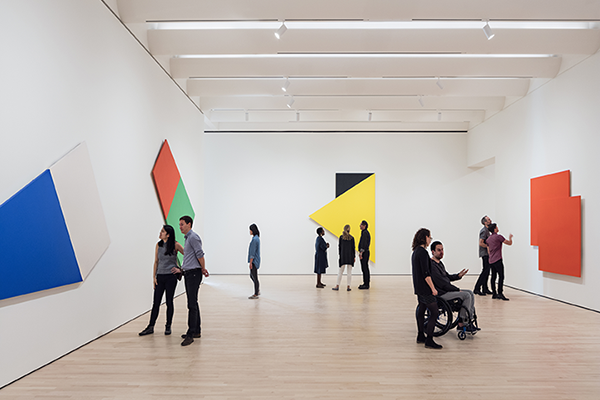 If you go: Find SFMOMA at 151 Third Street in San Francisco’s SoMA district. The Museum is open Friday–Tuesday, 10am–5pm and closed on Wednesdays. Thursday hours are 10am-9pm. Admission is $19-25 for those age 19 & over, while those 18 and under enter for free. A variety of guided tours, both private and free with admission, are available. Paid parking is available at SFMOMA’s garage on Minna St., or take BART and exit at either the Powell Street or Montgomery Street stations. The Museum is located just two blocks from both stations. For more information, visit SFMOMA.org or call 415.357.4000. Your Town Daycations is a series featured in the print edition of Your Town Monthly. This article was originally published in the April 2019 editions.